Many women with Endometriosis either cannot work or miss several days of work each month due to their pain. Others miss work due to the side effects of their treatments or medications. Others because of surgeries and recovery time. It’s can be a massive economic loss, and many women are reprimanded or fired by their employers due to the lost time. 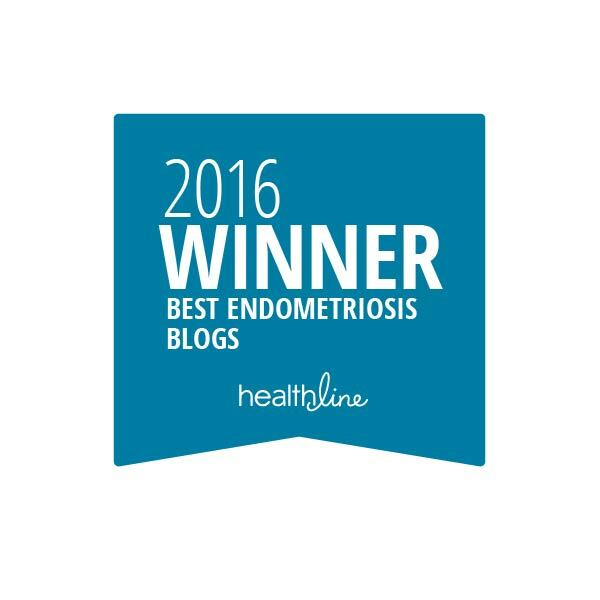 What protection do we have as Endometriosis sufferers? What can we do? Aren’t there disability laws for stuff like this? Important: I live in the United States. This blog contains information regarding United States disability rules. If you live in another country and are interested in any disability benefits you may have available, I strongly urge you to check out your local rules and regulations. Just as important: this will be a long-winded post. Feel free to walk away…I give you fair warning! The Federal government and each individual state may define “disability” differently. The Disability Evaluation under Social Security is a publication also known as “The Blue Book” (due to it’s blue cover). It itemizes disabilities recognized by the Social Security Administration and lists impairments for each major body system that are considered severe enough to prevent a person from gainful employment. It is also an aid used by healthcare professionals to better understand disability options available to their patients. So Endometriosis is not classified as a disability with the SSA. Does that mean it’s a lost cause? No…Swallow your lumps and read on. The Social Security Administration offers two types of disability benefits : SSDI (Social Security Disability Insurance) and SSI (Social Security Income). SSDI is for people who have worked in the past, paying (and accruing) Social Security benefits; and receiving these Social Security benefits early (as opposed to waiting for retirement). SSI benefits vary from state to state and pose different requirements that SSDI. What does that mean in English? Basically, if you believe you have a disability, you must be unable to work and earn less than the “substantial gainful activity.” For 2015, the Federal Substantial Gainful Activity amount for non-legally blind individuals is $1,090 each month. You must also not be able to adjust to other work with your disability, and your disability has lasted, or will continue to last, for at least one year (365 days) or will cause your demise. Think long-term. If you’re seeking SSI benefits because you can’t work one week out of the month; you’ll likely not succeed. If you can work with a different vocation, then you’ll likely be denied. These are long-term disability benefits – reserved for those who are no longer able to work on a daily basis in any vocation due to their chronic pain or disability. It does not; however, preclude you from applying. If your Endometriosis symptoms are so great that you can no longer work at your current job, and you cannot work in another vocation, you can apply. It’s my understanding that successfully applying for Social Security Disability benefits can be an arduous process. You can try to prove that your Endo limits you so you cannot work a full-time job, and the Social Security Administration may find that your “functional capacity” has been so limited by your condition and finding a job that suits your needs and abilities may be impossible. If you submit a disability application to the Social Security Administration, a Claims Examiner reviews your application, medical records, employment records, and even financial records. The Social Security Administration will not award disability status simply because you have a disease; rather, it weighs the functional limitations presented in your paperwork and history. Your application may be denied, and you may wish to seek an appeal. It’s commonplace. According to a former Disability Claims Examiner, this is because Social Security makes no attempt to obtain a statement from the treating physician, and this is usually only obtained by the claimant during an appeal process. Prior to a hearing, the claimant has no opportunity to express to their Claims Examiner the extent of their disability and symptoms. And Disability Judges can frequently overturn prior decisions. The Department of Veterans Affairs offers compensation to servicemen and women who were who were injured during service, or whose pre-existing injury/conditions were aggravated while in service. Additionally, post-service disabilities, if found related to an injury which occurred during service may be paid for. Certain requirements must be met in order to qualify, including you must not have been dishonorably discharged from service. How does Endometriosis fit into a military service-related injury? My guess is if you were unable to seek proper medical treatment during your service (on deployment, denial of medications, etc.) you may be able to claim that it was aggravated during that time. Or you were diagnosed with Endometriosis while still in service. Successfully making a disability claim with the V.A. office may be difficult. My EndoSister, Lauren, made a claim and she has recently been victorious! AFLAC is the most well-known company that provides supplemental insurance when recovering from a covered illness or medical procedure. Some employers offer supplemental insurance coverage packages to their employees (you may want to talk to your HR Department). You pay a monthly premium for coverage, just in case you are ever hurt or temporarily disabled and miss time from work. You may be paid a supplemental income (a percentage of your salary) due to a “covered” sickness, time in the hospital, or physician-documented short-term disability. It helps with the bills as they stack up, but there is usually a 10-14 day waiting period while your claim is being processed before the check(s) arrives. Make sure that any treatment or time missed from work regarding Endometriosis would be covered by the policy. Have a thorough understanding of what is, or isn’t, covered (time off work due to surgery, side effects of medication, appointments) and if there is a financial cap on what they can pay you. Understand the rules of the policy regarding how many days you are required to be “out sick” before the coverage kicks in. If you only miss 4 consecutive days of work and submit a claim, you may not be paid if their minimum requirement is that you miss at least 7 consecutive days of work. Am I saying to miss more work than necessary? No. But you know your body, your habitual “miss work” time…it may help you in making this decision. If someone has a disability that interferes with their ability to work, or to work in a certain type of job, the State Vocational Rehabilitation Agency is there to help. Each state has its own departmental offices, but the Agency is intended to “coordinate and provides counseling, evaluation, and job placement services for people with disabilities.” Each state will define “disabilities” differently, as well as offer different services and access to local programs. Endometriosis may not constitute a disability in their eyes; they may, or may not, be able to assist you. Try contacting your local State Vocational Rehabilitation Agency office. What if you only need to find a way to protect yourself for those few days you miss from work each month? Or are recovering from surgery and don’t have anymore vacation time? What if you’re scared of being fired because of your condition? In 1990, the Americans with Disability Act (the ADA) was passed in order to prohibit discrimination against and ensure equal opportunities for people with disabilities. However, due to their definition of disability, you cannot rely on an ADA lawsuit protecting you from missing work. The Family Medical Leave Act was passed in 1993 to provide employees job protection and unpaid leave for certain family or medical reasons, without facing retaliation from the employer. This includes “a serious health condition that makes the employee unable to perform the essential functions of his or her job.” However, not all business are required to follow FMLA Rules. If you work at a business with less than 50 employees, you are not protected by the FMLA regulations. If you work at a business that employs at least 50 employees, you then have to meet additional requirements (work so many hours, been employed for at least a year, etc.). 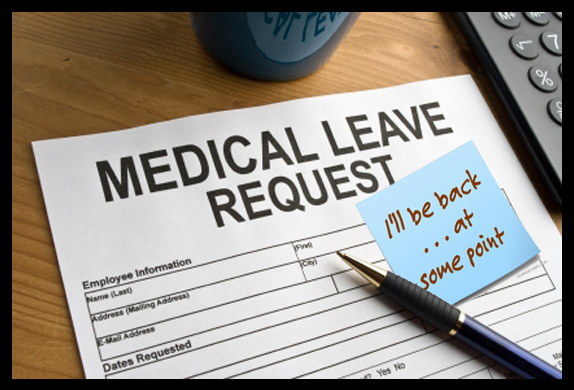 If you plan on seeking leave under the FMLA, I strongly suggest you familiarize yourself with the Frequently Asked Questions on their site or even consult with an employment law attorney. In 2002, the case of Trivisonno v. Metropolitan Life Ins. Co. was brought before the Federal court. The plaintiff, who suffered from Endometriosis alleged she was fired in violation of the Family Medical Leave Act. The court found; however, that she was only terminated after she “stopped showing up for work and had abandoned trying to meet her production requirements.” Upon her return to work, she was unable to meet her sales quota and stopped showing up to work, in violation of the employers’ policies. Unfortunately, I cannot locate enough facts to understand the basis for her FMLA claim, but do know that she did not win her case against her employer. A 2016 case, Cheryl Perkins appealed the denial of her disability claim; however, she did not win. They found that she was still able to be gainfully employed and did not suffer from impairments of normal living. But don’t be discouraged! Another 2016 case, Lyndy Slaughter, was also denied disability benefits. She fought the decision, and the court ultimately approved her claim for benefits! 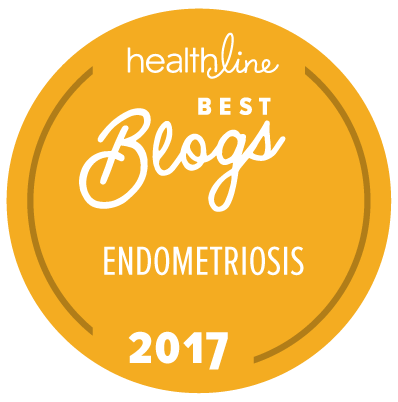 If you think you are, or have been, discriminated against by your employer regarding your Endometriosis, you may wish to seek out legal counsel. Most consultations are free. Do not lose heart in the above-mentioned rulings of these lawsuits. Every case is different, much like every woman’s Endometriosis is different. You may wish to talk to an attorney who specializes in employment law and disability issues. See if your physician can write a letter regarding your condition, symptoms, treatment, and side effects to keep in your employer’s personnel file. Review the ADA and FMLA regulations to see if your employer is held liable to these standards. You may wish to talk to an attorney who specializes in disability claims and appeals. You can file online or in person at your local Social Security Administration office. Your physician may be asked by the Social Security Administration to provide written reports or opinions regarding your condition. It is important that your physician understand the full extent of your symptoms and any limitations they present. Write your senators and your congressmen and women. In 2002, the House passed the National Endometriosis Awareness Resolution. It was created to raise public awareness in the medical and layperson communities; and also recognize the need for better patient support and better physician understanding of the disease. You know your body. You know what you are, and are not, able to do anymore. I know this blog has made it sound like one hell of an uphill battle. Do not let these words discourage you if you wish to make a disability claim. Forge ahead. Remain strong and diligent. And as always…do what is right for you. Helmes & Green, LLC – Trivisonno v. Metro. Life Ins. Co.
*Sunday is “Reader’s Choice” where my readers, friends, and family get to suggest a topic. Today’s topic came from an EndoSister and fellow blogger, Kitten, who wanted to know if Endo as a disease is protected under disability laws, so that you can’t be fired for missing work due to complications like pain, treatment side effects, or surgery.. So let the research began! This is great!! I’m from Australia, but it’s given me a lot to think about (and maybe research! ).